One of the most important supplies to have with you when you are on a camping trip is your sleeping gear. Knowing what kind of sleeping gear is best for your needs can be difficult especially since you cannot try out every different type of sleeping gear as well as every brand of sleeping gear. 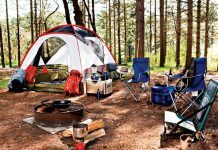 Novices and experienced campers alike all search for one thing in common; comfortable, efficient and functional camping sleeping gear at an affordable price. 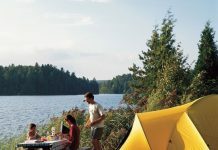 There are many different kinds of camping sleeping gear ranging from sleeping bags, sleeping pads and air beds, hammocks, blankets, throws, liners and sheets, and pillows. 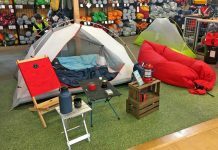 If you choose to go with sleeping bags for your camping sleeping gear you may have an extremely difficult time deciding which type of sleeping gear to go with. The options and types of sleeping bags are numerous. The brands of sleeping bags are endless as well. 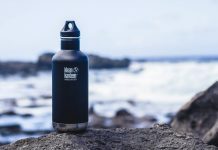 Many people assume you get what you pay for and take this to mean the more expensive the sleeping bag the better, more efficient and more functional it will be. This is not always the case. There are many brands and types of sleeping bags that are functional, efficient and affordable. Sleeping bags come in different lengths and different temperature stamina. You can buy a regular length sleeping bag or a long sleeping bag. You can also buy sleeping bags that are designed and made to stand up to 20 degree weather and even 0 degree weather. There are also hooded sleeping bags that come in long and regular as well as hooded sleeping bags that are made resilient to 20 degree weather and 0 degree weather. There are sleeping bags designed for men and sleeping bags designed for women. There are also rectangular shaped sleeping bags. 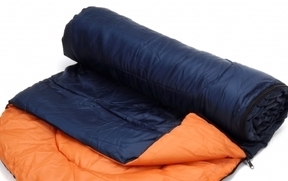 Did you know you can even get a double sleeping bag which is made perfectly for a couple on those cold camping nights? No longer do you have to be apart from your mate because now there is a sleeping bag designed to fit two people. There are also many different kinds of pillows that are made for camping trips. There are lumbar designed pillows and thermarest neck pillows. 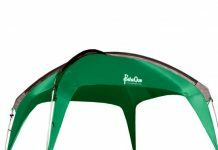 Camping pillows also come designed with either synthetic or down for different comfort and functionality needs.